Given the huge variety of commercial boilers in the market, choosing one can be a hectic undertaking. This is due to the numerous things you will need to consider. While cost will be a huge determinant. Here are some other factors you should look into when choosing a commercial boiler. This is a major factor to take into consideration when choosing a commercial boiler. Manufacturers all over the world are being urged to consider the environmental impacts their products will have. Here in the UK, the Energy Labelling Directive (ErP) requires manufacturers to label their products providing parameters such as efficiency and performance. This will enable buyers to choose products with low carbon emissions. When you are buying a commercial boiler, it will be important to factor its cumulative cost of care. This will involve maintenance costs and the availability of replacement parts should they break down. It is important to talk to your local vendor to establish if they have maintenance services and if they can offer you discounts. Depending on the type of premises you will be installing your commercial boiler, you may need to have zone controls installed. These controls are very valuable especially if there are some areas in the premise that are not used regularly. These control enable you to switch off areas that do not require regular the services of the boiler such as in basements or stores. It is advisable to always be on the lookout for the terms of the warranty. A warranty is especially important in assessing how reliable the boiler will be. Most of the warranties will range from 10-15 years. However, you should always be on the lookout for a longer warranty with good terms and conditions. When choosing a boiler, it is always important to take consider the correct dimensions. If it is too big, you will end up losing a lot of money due to the wasted energy. On the other hand, a small boiler may not be sufficient enough to take care of you water heating needs. 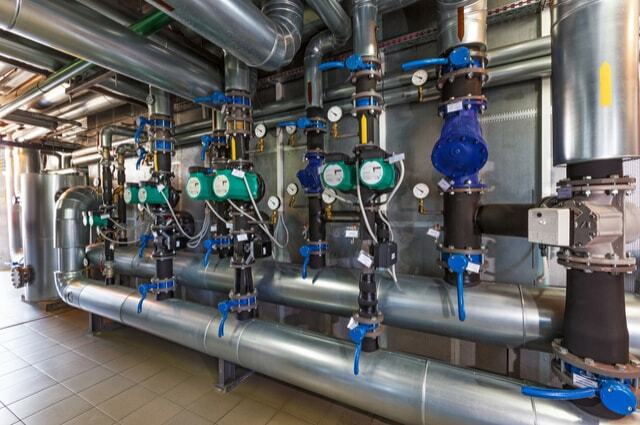 When investing in a new commercial boiler, it is also advisable to factor-in boiler installation costs. Boilers will come in different sizes and designs. This means that some will be light and easy to install, while others there may additional installation costs for some types of boilers. You may also find that some boilers come with water treatment options. While there are many other factors you have to consider, it is always important to consult an expert if you are not sure which commercial boiler is right for you. If you live in North West, UK, you can contact us here at ST Heating Services Ltd for all your commercial boiler installation, repair or maintenance needs.